Stand out from the crowd with Nobody’s Child. 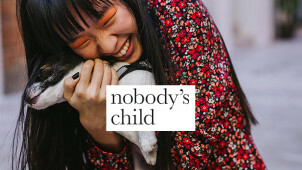 Made with the fearless fashionista in mind, Nobody’s Child combines sustainability, creativity and cutting edge looks that are sure to turn a few heads. From stylish staples you’ll want to wear throughout the seasons to show-stopping statement pieces that will make you the star of the party, with a Nobodys Child discount code you can dress to impress for less. Join the Nobody’s Child club today to embrace your personal style. Nobody’s Business is the online magazine providing your daily dose of culture style and fashion. Check out how street style bloggers and celebs are wearing their Nobody’s Child pieces, keep on top of catwalk trends and make the most of handy how-to’s which will take your look to the next level. Keep your finger on the pulse and stay inspired with the Nobody’s Child Team - it’s sure to be your next favourite bookmark! So you’ve picked out a great dress or your go-to jeans - now what? Take your look to the next level with the great range of Nobody’s Child accessories. From fun socks to stylish sunnies, you can elevate your outfit for a fraction of the price with a Nobodys Child promo code at the checkout. Add a splash of personality with a quirky bag or embrace your inner sparkle with a bit of bling from Nobody’s Child’s accessories range today!